We manufacture & install only the highest quality shade sails, privacy screens & awnings. 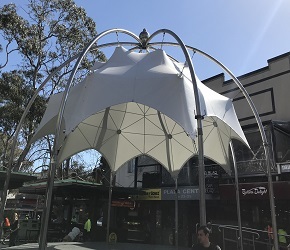 Sydney Shade Sails Pty. 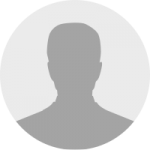 Ltd. is a family owned & operated Australian Business. 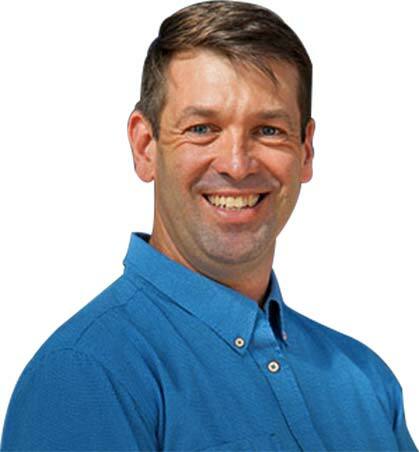 Leonard Collins (Managing Director) started his career at the age of 16 as a sail maker for yachts. With over 24 years of experience, Sydney Shade Sails is now among industry leaders. 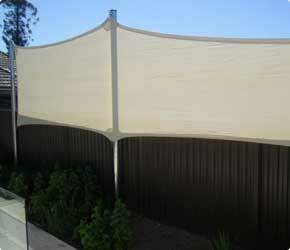 We design & manufacture all kinds of shade sails of premium quality. Also, we provide best professional installation services and on time delivery. Share your requirements. Call us or submit the form. Get a free consultation and let us help you with the best Shade Sail for your space. Get a fair price quote. Our trained and professional staff will install the Shade Sail for you. We promise on-time delivery with no delays. 2 years of warranty on workmanship. Our experts will guide you to the best Shade solution for your space. We do not charge for the consultation we provide. We design and manufacture the shade sail. We make sure that you get the premium shade sail at a fair price. Today I had a magnificent shade sail installed above my rear patio. It is beige in colour and so lets adequate light into the area. It does an excellent job in keeping most rain off the outdoor table setting and protects the adjoining stacker doors when they are open, from rain and leaves blowing in through the open doors. The workmanship is excellent and it looks great. I am very happy with my product. 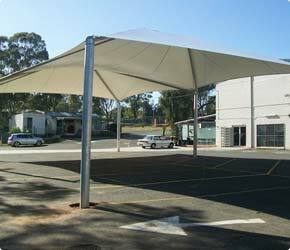 The team at Sydney Shade Sails were great to deal with and were always extremely professional! We are very happy with our Shade Sail and have received many positive comments. 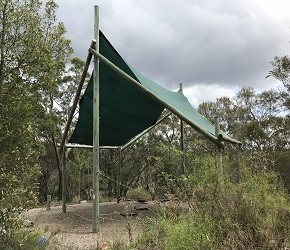 The quality of workmanship is great, we would definitely use Sydney Shade Sails again and would have no hesitation in recommending them to any perspective clients. Need long lasting & premium quality Shade Sails? We have all types of Shade Solutions for you. The Australian sun is harsh and bright, and when summer hits you want to be able to enjoy the great outdoors without overheating or squinting all day. 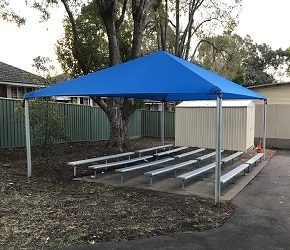 You want a great shade cover that will allow you to make the most of the warmth and sunshine without worrying about the dangers of skin cancer. 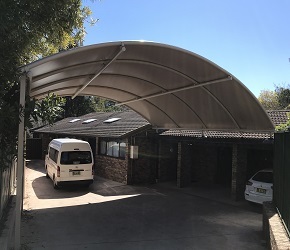 At Sydney Shade Sails we want to bring comfort to Aussie individuals when the sun hits, and we specialise in high quality, long lasting shade shelters. 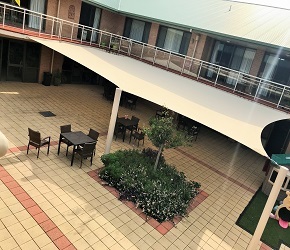 Whether you’re looking to provide shade for your residential or commercial project, we can work with you to create a solution that will be both functional and aesthetically pleasing, complementing the overall design of your property. We’re proud to say that our shade sails are the best in the country, built to extremely stringent design standards that will ensure high quality and peace of mind on your behalf. Our family owned and operated business is led by Leonard Collins, who started his career as a sail maker for yachts from the age of 16, and he brings this extensive experience into the manufacture and installation of our shade sails at Sydney Shade Sails. 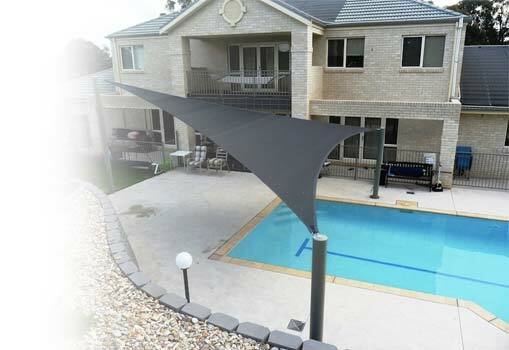 For shade sails Sydney wide there is no better company to trust with your project. We’re confident in the quality of our products and our workmanship, and we back all our shade sails with a 5-10 year warranty, with a 2 year warranty on workmanship. 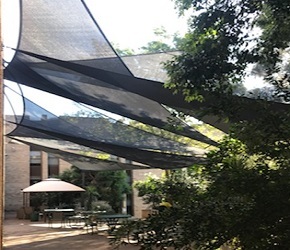 We also provide a repair service for shade sails that may need a bit of restitching or patchwork, and a cleaning service for those shade sails that may have accumulated some dirt over the years they’ve been installed. We believe that a quality shade sail should be built to last, and we’re determined to provide only the best to our customers. So get your shade sail from us sat Sydney Shade Sails and enjoy a warm and bright summer in the shade!